Managing and developing the sales pipeline is one of the most important tasks in any sales driven organization. Marketing teams are tasked with generating quality business leads to fill the sales pipeline. Sales teams are tasked with managing the pipeline, acting on leads and closing deals. Realise greater value from your sales and marketing programs by improving the data you rely on. Inaccurate and unreliable contact data wastes money and time. It is the start point for any successful campaign. The better the data, the better the results will be and it creates the foundation stone. Quality is paramount and we go to great lengths to make sure to we screen all leads before they are passed on to our clients. Your sales process should be designed, not inherited. 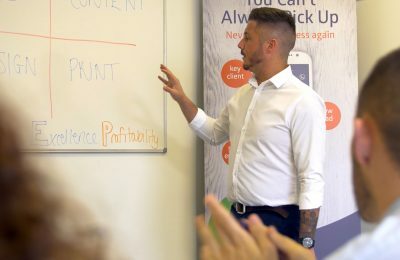 Yes, each sales rep is an individual with his/her own “style”, but you will have no way of monitoring and improving sales performance if there is no system in place for managing accounts. 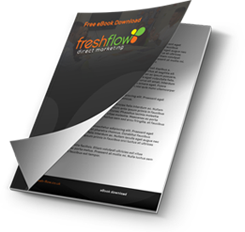 Considering a range of questions, from how leads are distributed to your sales teams, through to follow up and post-meeting activity, Fresh Flow can help finetune the process. We can draw the best out of your staff, whilst working with them to develop a robust and intelligent pipeline management system! When you create and manage an effective sales process, you will improve sales performance and lose fewer opportunities due to inefficiency, poor communication or timing issues.